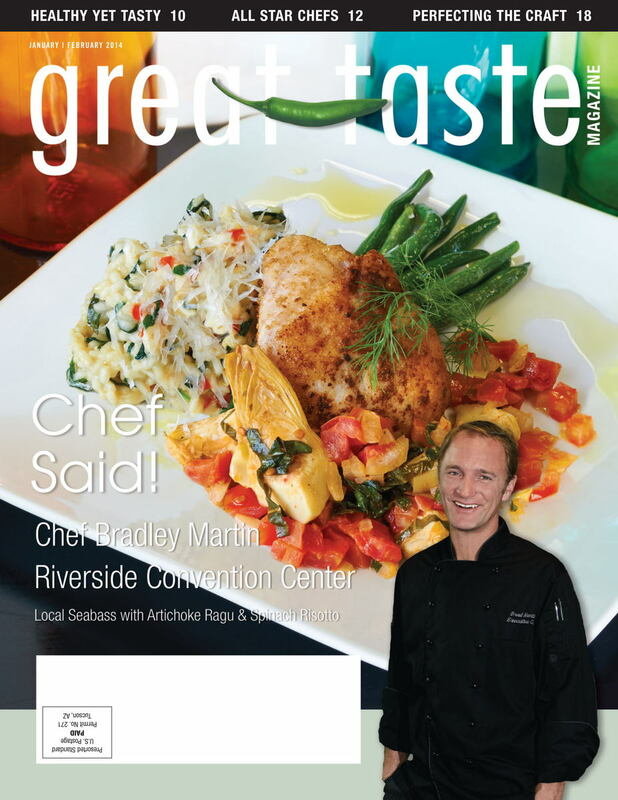 Great Taste Magazine 2014 Jan/Feb Issue, include televised Chefs Bradley Martin, Joe Youkhan of the Tasting Spoon and Jason Quinn of The Playground. Televised cooking competitions pave the way to fame for some and provide an opportunity to cross off a dream from buckets lists for others. 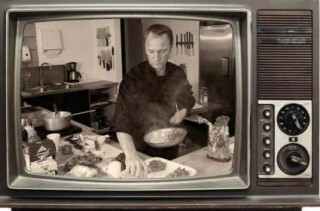 If you have ever watched a cooking show, you know that they are dolled up with pretty lights, perfect judges and what we all love best-steamy competition. 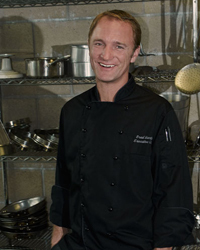 The chefs in this issue, including the likes of Bradley Martin of the Riverside Convention Center; Joe Youkhan of the Tasting Spoon and Jason Quinn of The Playground, bust these myths to pieces. Shooting days are long, cast members are sequestered and, not to mention, the cameras that follow you everywhere. It’s an arduous process that is equally fulfilling both to the careers and personal lives of participants. Did you know the Riverside Convention Center has recently undergone a renovation totaling over 40 million dollars? Compete with expansive conference rooms and the expertise of new Executive Chef Bradley Martin, every penny is sure to prove well worth it. What is your New Year’s resolution? Are you determined to stay fit and healthy, but fear the bland and undesirable diet change that getting in shape alludes to? In this issue’s Sur Le Menu we’ve scoped out the most delectable places around the OC that serve the best of both worlds-nutritious and delicious. “If it tastes good, you won’t think about it being good for you,” says Joe Martinez, Chef de Cuisine at Cha Cha’s Latin Kitchen-we couldn’t have said it any better! You can’t talk about focusing on new and fresh beginnings and not mention drinks! Casey Dion, resident bartender and craft cocktail specialist at The Blind Pig in Rancho Santa Margarita mixes up a healthy “Sword and the Rose” cocktail to slash the assumption that drinks are on the “no, no” list when being health conscious.